Flattering50: New Day/New Outfit: Black Tie Time? New Day/New Outfit: Black Tie Time? I'm always amused by the things that inspire my "style of the moment." Over the weekend, I pulled out my Beatles memorabilia to write a post about the Beatles tribute last Sunday night. (If you missed that post, a few readers left comments with their fab Beatles memories.) As I looked at the old photos, I fell in love all over with the lads and their skinny black ties. I went hunting in my scarf drawer and found a tie, though not a particularly skinny one. 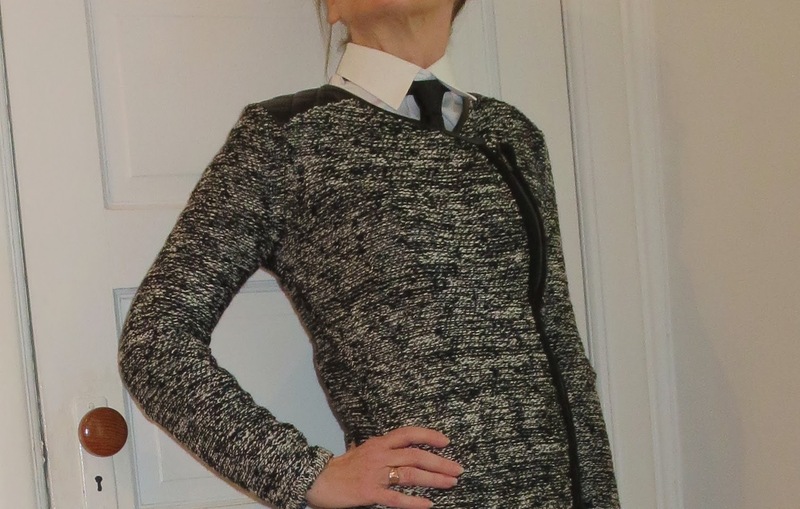 For a lark (a word I heard during the British Invasion), I styled the tie with a white man-tailored shirt, a black blazer and black pants (above). Unfortunately, I look more like Karl Lagerfeld than one of the fab four. 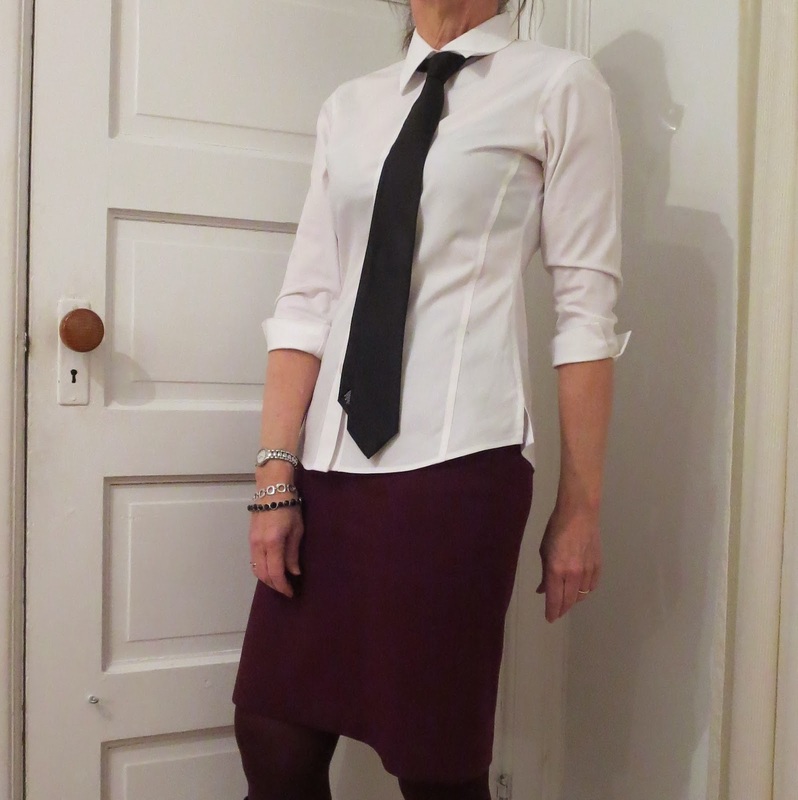 BEAT, PUNK, ANNIE HALL OR...? Despite my initial misstep with the long blazer and tie, I persevered. I'm not sure what was motivating me. Perhaps, it was my boredom with winter scarves, which I've been wearing every day. Or, perhaps, it was a case of cabin fever. Yesterday was the third day in two weeks that my office was closed because of "inclement weather." Next, I tried another Beatles-esque look (below) with a bit more success. Then, I thought about the 70s, when Chrissie Hynde wore a white man-tailored shirt with a black tie. And, of course, there was Annie Hall with her tie and a man's vest. Who could forget that look? Do you ever wear a tie? And if so, how do you style it?